NEWPORT NEWS, Va., Aug. 2, 2012 (GLOBE NEWSWIRE) -- Huntington Ingalls Industries (NYSE:HII) announced today that The Apprentice School at its Newport News Shipbuilding (NNS) division has been recognized by the Department of Labor's Office of Apprenticeship as a 21st Century Registered Apprenticeship Trailblazer and Innovator. The Office of Apprenticeship awards registered apprentice programs this recognition if their programs, practices, strategies or partnerships demonstrate the types of trailblazing and innovative efforts that play a critical role in preparing the workforce in the 21st century. Because of this recognition, NNS' Apprentice School was invited to attend the "Out-Educate, Out-Build, Out-Innovate" national summit hosted by the National Registered Apprenticeship System. 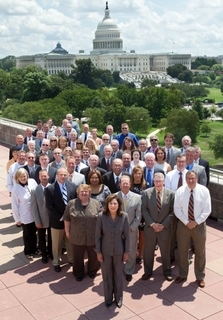 Sponsored by Secretary of Labor Hilda L. Solis, the Aug. 1 summit celebrated the role the Office of Apprenticeship has played during the last 75 years since the signing of National Apprenticeship Act, also known as the Fitzgerald Act, which regulates apprentice and on-the-job training programs. Everett Jordan, director of education at The Apprentice School and a featured speaker at the summit, said, "At Newport News Shipbuilding, the aspect of learning through a registered apprenticeship is ingrained in our company and in our culture. With our focus on craftsmanship, scholarship and leadership, The Apprentice School's 798 apprentices are challenged to learn one of 25 different crafts in a complex heavy-construction and manufacturing setting and attain academic success in rigorous curricula." Founded in 1919 and accredited by the Council on Occupational Education, The Apprentice School offers a rewarding career and provides the company with a continuous supply of shipbuilders who possess the pride of workmanship, knowledge and skills. 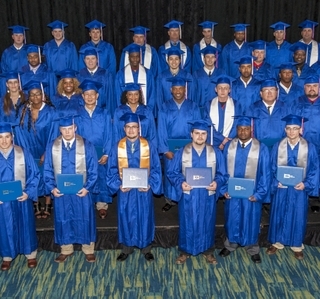 Apprentices complete four- or five-year apprenticeships in shipbuilding disciplines consisting of 8,000 hours of on-the-job training, trade theory instruction and academic coursework. Graduates of the school possess core leadership principles and the character and technical competence necessary to meet the challenges of a shipbuilding career. 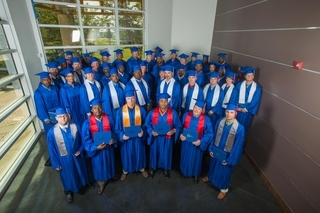 The school, which anticipates its 10,000th graduate in 2013, is registered with the Virginia Apprenticeship Council.